Today’s Gospel reading (Mk. 2:1-12) began with the words “And again He entered into Capernaum after some days, and it was heard that He was in the house.” Immediately so many people gathered together so that there was no room even near the door, and Christ began to speak. This is what happened in the early days of His ministry – people glorified Him for His wisdom, and especially for the miracles that He performed, and people flocked to see Him. And so it is said that it was impossible to come close to Him, since he was always surrounded by crowds of people when He taught. Now it happened that a man sick of the palsy was brought to Him, carried by four men. What would we call this medical condition? Paralysis, of course. As you yourselves know, a person often becomes paralyzed because of a sinful, unrestrained life, most likely a depraved life, and the result is a paralysis of all his powers of body and soul. That was why he had to be carried by four people. Not being able to get close to Him due to the crowd, they took apart the roof of the house where the Savior was. In those days, roofs were clad with clay tiles that were fairly easy to take apart. Therefore, that was what they did, since it was impossible to get close to Him any other way. The place was so crowded that it would have been virtually impossible for even one person to squeeze through, let alone a person on a cot carried byfour men. So they broke through the roof where the Savior was, and let down the bed on which the paralytic lay. Even if they were not able to explain to the Savior their decisive action on the roof, it was an obvious testament to their strong belief in wanting to reach Him. It is not mentioned whether they actually asked Him anything, but Jesus, seeing their faith, without any questions said to the paralytic, “Son, your sins are forgiven you.” They had come so that their friend would be healed, yet Jesus is concerned about his sins. Why? It seemed to be beside the point! Why does He speak about his sins? Because, in any case, illness is always a result of sin – sometimes directly, sometimes indirectly. If a person were without sin, he would not be sick, but a person’s sinful nature is weakened when he commits sin, and he makes himself susceptible to illness. That is why the Lord first treats the very root of illness. This is the only correct way to get well: before getting rid of the consequences, you have to get rid of the cause. In order that they would know that the Son of Man has the power on earth to forgive sins, the Lord says to the paralytic, “I say to you, arise, take up your bed, and go to your house.” The paralytic immediately arose, took up the bed, and went out in the presence of them all, as if he had never been sick, so that all were amazed and glorified God, saying, “We never saw anything like this!” In such cases, the scribes and Pharisees were forced to keep silence, because they could not argue the fact of his healing. I remember that when I was still a young man of the world, I always said that if I ever fell seriously ill, before being seen by the doctor I would first have the mystery of holy unction performed over me. I would not go to the doctor for treatment unless I received this sacrament. The Church believes that the mystery of holy unction not only invokes the mercy of God on a person’s bodily ailment, but also forgives all his forgotten sin s. The grace of this sacrament cleanses his soul of all impurity even if he cannot recall all his sins or repent of them consciously. In this way the Lord treats the root of the illness, after which it is easy to treat its consequences. Amen. With the blessing of Vladyka Iosif. As you can see and hear for yourselves, beloved brothers and sisters, the great Canon of Saint Andrew of Crete is exclusively filled with the spirit of profound repentance. It was compiled by the great saint of the Orthodox Church Saint Andrew of Crete, and in this canon he judges himself in everything, humbles himself, and as the worst of sinners asks God for the remission of his sins. It sometimes happens that a person suddenly wakes up, aroused by his conscience, especially when he has until then led a dissipated life, not having thought about God, or his soul, or about eternity. And then all of a sudden the Light of truth shines upon his soul, and in this Light he sees himself in all his wretchedness. At this point the Church comes to meet this sinner who has realized his extreme irresponsibility and guilt with examples of other people who repented and were able to raise themselves up from the abyss of sin right up to heaven. Therefore, a person who repents should never fall into despair. He needs to humble himself when his conscience is pricked by his sins and his soul is afflicted. He needs to humble himself before God, realize that he is unfit in all respects and good for nothing, but never despair! We heard in this canon about St. Mary of Egypt. It seemed that she could not have fallen any lower than she did, having completely desecrated her feminine honor and dignity, but repentance made her a bride of Christ, as the Church says. The Venerable Zosimas, himself a great saint, saw how she crossed the Jordan River as if it were dry land, and in prayer she rose up off the ground toward heaven. This is what repentance can accomplish in anyone who truly repents. The repentance of St. Mary of Egypt was prolonged – she may have sinned a long time, but she spent even more time repenting until she became an ‘earthly angel and a heavenly man’. A different example is the wise thief who repented only a few hours before he died on the cross in the midst of cruel suffering, and yet what did he hear? He merely asked the Lord not to forget him, but to remember him when He comes into His Kingdom. And, as we have said many times before, the Lord loves to give us more than what we ask, and the thief heard this reply: “Today [not when I come, but TODAY] you will be with Me in Paradise” (Lk. 23:43). Having this example of how a person who had sinned all his life but came to his senses at the very end, an Orthodox person has no right to despair or fear that his repentance will be rejected when he knows that the repentance of the wise thief was accepted. Here we will also remember St. John Chrysostom, whom the Church calls the ‘preacher of repentance’, in that he liked to emphasize that where there is repentance, there is undoubtedly the mercy of God. He said that the Lord binds His mercy with a person’s repentance. Not without reason, already in the Old Testament, the Lord said that if a person comes to him with sincere repentance, “although your sins are like crimson, I shall make them white like snow, and although they are as scarlet, I shall make them white like wool” (Is. 1:18). Therefore, in realizing your sinfulness and wretchedness, at the same time remember that genuine repentance is a feeling not just of sorrow and worthlessness, but also of joy, because we know that if we sincerely repent, the Lord will not reject us, but instead welcome us as He received the prodigal son. Amen. Now that Great Lent is just about to begin, on the last Saturday before Great Lent the Church commemorates together all the holy fathers who shone forth in the ascetic life, that is, all our great ascetics and venerable God-bearing fathers throughout all of church history, as an example to us of how we should discipline ourselves with prayer and fasting. These were saints who fulfilled the Gospel words “Take My yoke upon you and learn from Me, for I am gentle and lowly in heart, and you will find rest for your souls” (Mt. 11:29-30). They came to the Lord and learned from Him, became gentle and lowly in heart, and found rest for their souls because His yoke is easy and His burden light. Lent is upon us. These great ascetics give us various examples of fasting, for they fasted in different ways. The Church does prescribe certain rules for fasting, but in one of the church books it is written that for a righteous one, rules are not set in stone as long as he continues to glorify God. Thus, while an ordinary person needs the definite order of a prayer rule to say his prayers, a righteous one does not need this. He who glorifies God without ceasing and stands before Him continually is already doing what is above and beyond what the Church prescribes. So, there are rules regarding prayer and fasting for us, but the great ascetic strugglers actually fasted much more strictly the Church requires. For example, we know that St. Paisius the Great on two separate occasions fasted for forty days straight, not eating anything, strengthening himself only with the partaking of Holy Communion. This is truly a rare feat, while there have been many examples of saints who fasted for a week at a time. Many saints went the whole week without eating, and only at the end of the week regained their strength by taking in some food. The Church, however, does not demand from us such extraordinary feats, but calls us to fast within our power, according to the church rules. Of course, if a person is sick or weak, a strict fast is not required. The aim of fasting in a physical sense is to restrain and suppress oneself, but if someone is sick, he is already weakened physically, so why does he need to do what his sickness has already done? When one great saint who was a strict ascetic fell ill, he relaxed his fasting. His neighbor, also a great saint and ascetic, saw this and asked him, “How can you be so lenient to yourself?” The reply was, “We are taught by our fathers not to slay the body, but to slay the passions”. Our struggles, fasting in particular, are not supposed to bring the body into a state of weakness, but only to weaken the passions. St. Basil the Great, himself a model of strictness in fasting and asceticism, said that fasting should not make a person weak and powerless, for if it were necessary and better for us to be feeble, the Lord would have created us as such. However, since He created man with a certain strength of body, that is the standard, and man needs to discipline himself in obedience to the Church, and humble his physical nature through fasting so as not to be tempted by passions and lusts. Therefore, all ascetics say that when a person is ill or weak in some way, it is all right for him to lighten his struggles and relax his fasting from his usual norm. At the same time, it is of course necessary to remember that fasting is established by the Church, and the Church does not deal trifles. If She established fasting, a Christian ought to respectfully obey and do what She requires. We have brought up before the example of St. Seraphim of Sarov who once said outright that he who does not observe the fasts is not a Christian, no matter what he thinks himself to be and what others think he is. If he does not obey the Church and live by Her rules, he is not a Christian. St. Seraphim is basing his conviction wholly on the words of the Savior, for the Lord Jesus Christ said, “If he [your brother] refuses even to hear the church, let him be to you like a heathen and tax collector” (Mt. 18:17). If we look at life around us and see how Orthodox Christians, in particular Orthodox Russians, treat fasting, it is not very encouraging. Not only do many people not observe the fasts, they practically ridicule the whole subject, commenting every chance they get that it is some kind of outdated practice, an anachronism from the past which is of no use in our day. In this way they bring judgment upon themselves, in the way that St. Seraphim said, that those who do not observe the fasts are in fact not Christians. We always need to remember this because life now has so many temptations that at every turn church rules are being broken left and right, and people who follow them are few and far between. Of course, it is possible to find examples of the latter. In the last decades before the Revolution, Orthodox Russian people in our own Motherland of Russia were also very lax with regard to fasting. In fact, St. Seraphim said, “God’s wrath will befall Russia due to the fact that people have stopped obeying the Church, especially by not observing the fasts”. St. Seraphim foretold this, and we can see that God’s terrible anger has indeed come down upon the unfortunate Russian people and the Russian land. However, as I was saying, there are examples even now, and always have been, of people who strictly observed the fasts. Several come to mind. There was the renowned Russian man of culture named Alexei Stepanovich Khomiakov. He was a writer and columnist, as well as a profound theologian with a creative mind. Although he was brilliant and independent, he did not make anything up, but based everything strictly on the teaching of the holy fathers. He was extremely knowledgeable in their teaching and knew how to make use of this knowledge in his discussions. Moreover, he was a husband and father, the head of his family with a full life, and a most faithful and devoted son of the Church as well. In terms of culture and education, he was an aristocrat and belonged to the highest stratum of Russian society. Whenever he appeared among people of high society who had practically fallen away from the Church and forgotten all about fasting, he amazed them all by his strict observance of the fasts. No one could get him to ever break the fast. And as they were all astonished by this, he responded, “As an Orthodox Christian, I should obey the Church and follow Her rules”. These days, when we clergy go visiting on a fasting day, we often see the table laden with non-lenten foods. Then they say to us, “Here is lenten food just for you, since you are fasting”. (?!) Once it happened to one of our hierarchs that they said to him, “Vladyko, here is lenten food for you”. He answered, “Yes, after all, I am Orthodox”. This was a way of implying to his hosts that if they did not observe the fast, they were no longer Orthodox. 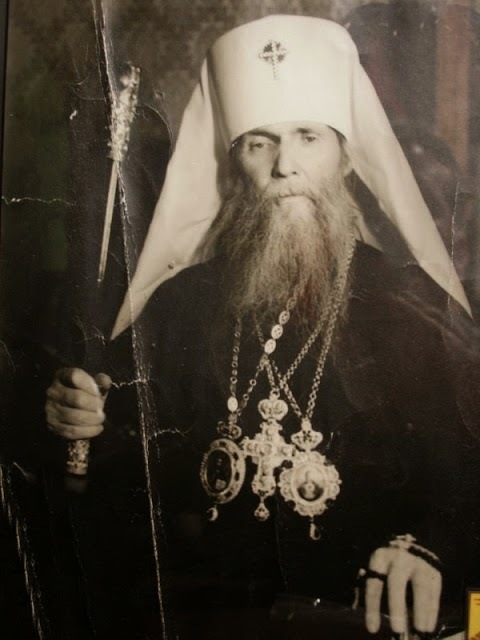 Let us remember this, beloved brothers and sisters, and let us be inspired by the example of the great ascetics whom the Church commemorates today -- how St. Anthony the Great, St. Theodosius the Great, St. Euthymius the Great, our holy venerable fathers St. Sergius of Radonezh and St. Seraphim of Sarov, and many like them fasted. They were giants in the spiritual life! We are little of stature and obviously no match for them, but their example should nevertheless encourage us to emulate them within our weak power. When we honor the saints, it means not only to revere and glorify them and pray to them, but also to imitate their way of life and spiritual endeavors as much as we are able. Amen.